My sister-in-law didn’t know last year was the International Year of Soils. Nor was she aware of USDA’s Value-Added Grants when she found my Christmas present. Knowing I like great local farm stories, her choice couldn’t have been better. She and my wife usually find hot pepper sauces for my brother-in-law and me, but this year she found something different. Though my wife and I moved from Upstate New York 30-plus years ago, when I pulled away the wrapping, I recognized the address on the jars immediately. My wife’s family lived in Middlesex, NY, when we met. West Swamp Road was the crossroad on the way to her grandmother’s where we would slow down for the curve going through Potter. There, on both sides of the road, was “black dirt.” How appropriate in the Year of Soils! The Potter Muck is one of smaller pockets of extremely high organic matter (20% to 80%) soils that can be found across New York and a few other states. Muck soils are high in nutrients with great water-holding capacity making them one of the most unique, productive, and desirable horticultural soils, especially for vegetables. More than 30,000 acres of cultivated muckland were noted in New York as of 2006, with about a third of it planted with onions. Like most other muck regions in New York, come mid-summer, the scent of onions fills the air. 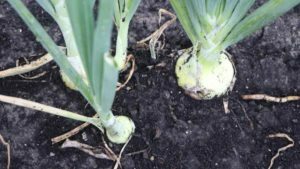 There were slightly more than 30,000 acres of cultivated muckland in New York as of 2006, with about a third of it planted with onions. Three generations of the Sacheli family raised onions at FranJo Farms on the Potter Muck. Daughter-in-law Allison Sacheli told me: “Hail storms three years in a row at the onion seedlings’ flag stage wiped out entire crops.” Their major wholesale buyer moved to South Carolina to source onions and never came back. Fortunately, Allison’s dad had convinced her to try selling some of her old family recipe onion jelly at his hot dog stand. Customers loved it, so they had slowly been increasing production and began selling at local farmers’ markets and other outlets. Lucian, Allison’s husband, watched the third hail storm and knew that the farm was in trouble. That same week, a major contract for onion jelly arrived. 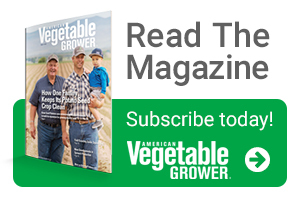 While the Soil Science Society of America celebrated the 2015 International Year of Soils to raise awareness and promote the sustainability of our limited soil resources, for several years, the USDA Rural Development office has sponsored the Value Added Producer Grants (VAPG) program. The goal of the VAPG is to assist farm families, like the Sachelis, in developing new products, creating and expanding marketing opportunities, and increasing producer income. Up to $75,000 is available for planning grants; $250,000 for working capital grants, which can be used to pay up to 50% of total project costs. Of course, value-added products might not be right for everyone, nor are they guaranteed to save a failing farm. But in some cases, a higher profit margin line of products just might be the icing on the cake that keeps a farm business going. Land grant university incubator programs often assist with applications to the VAPG, or as Allison found, they can help directly without going for VAPG funding. “Fate showed us this was the right path,” she told me. One night at an event, while worrying aloud about food processing regulations and outsourcing production versus investing in a commercial kitchen, a diner at the next table apologized for eavesdropping, introduced himself as the Director of Cornell’s food ventures center (officially Northeast Center for Food Entrepreneurship), and told her there was an upcoming training session for certified canners just up the road at the New York Ag Experiment Station in Geneva. 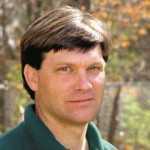 VanVranken is an agricultural agent at Rutgers Cooperative Extension in Mays Landing, NJ.